1 x rear door lock. 1 x sliding door lock. Fits most van types. Secure and easy locking with Bulldog plunge lock- locks without using the key. Double pack includes 1 x rear door lock and 1 x sliding door lock, both keyed alike. A singlehighly visible lock suitable for use on the rear door or off side sliding door. It adds further security to the van to guard against thieves capable of defeating the factory fitted locks. Simple to fit with no loose parts. Can be locked without the use of the key. Drill and pick resistant lock. Case hardened steel. High deterrent effect. Avoid costly repairs for locks and bodywork. As used on fleet vehicles by major utilities. British manufactured and sold with Bulldog 5 year Guarantee.1 x rear door lock. 1 x sliding door lock. Both keyed alike.Fits most van types. 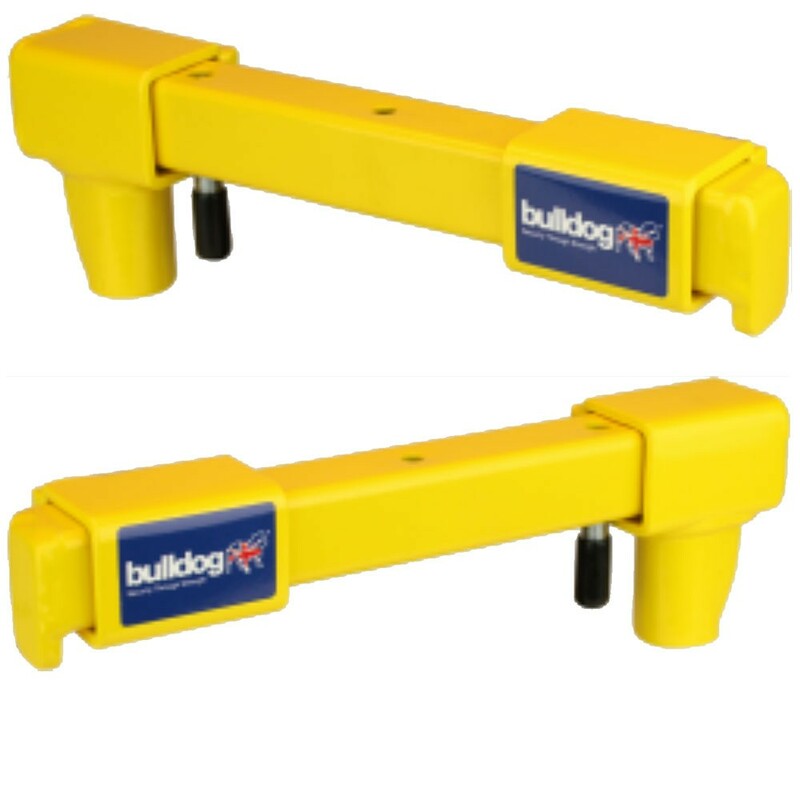 Secure and easy locking with Bulldog plunge lock- locks without using the key. Double pack includes 1 x rear door lock and 1 x sliding door lock, both keyed alike. A singlehighly visible lock suitable for use on the rear door or off side sliding door. It adds further security to the van to guard against thieves capable of defeating the factory fitted locks. Simple to fit with no loose parts. Can be locked without the use of the key. Drill and pick resistant lock. Case hardened steel. High deterrent effect. Avoid costly repairs for locks and bodywork. As used on fleet vehicles by major utilities. British manufactured and sold with Bulldog 5 year Guarantee.